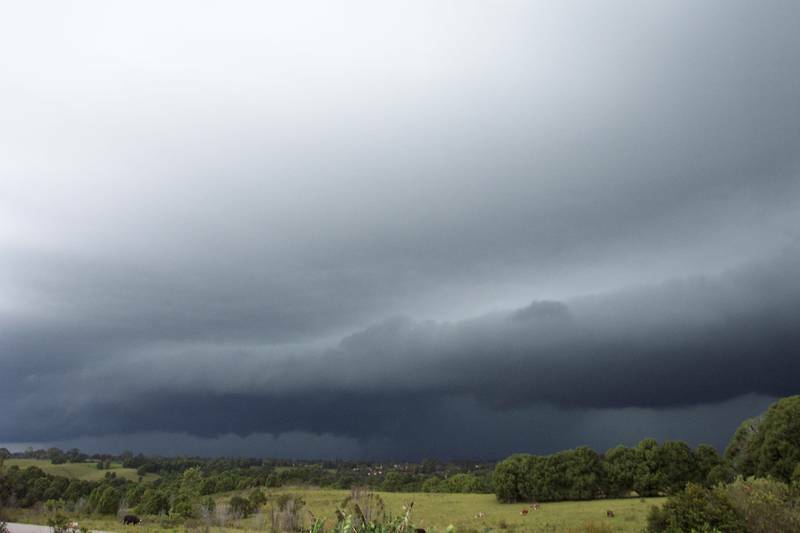 We had had thunderstorms the previous two days in NE NSW including a great storm that gave a lightning show on Saturday the 24th. I had a guest come up this weekend so my attention wasn't on storms so much and I had taken no time to analyse the setup for storms. 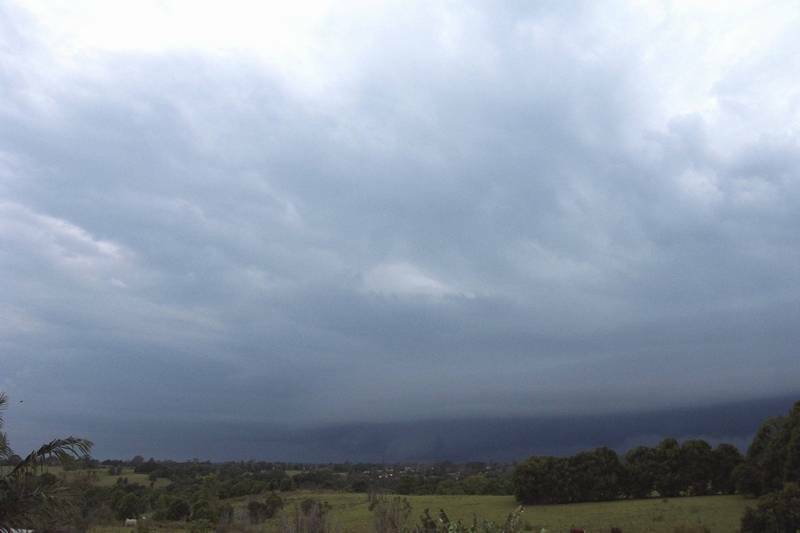 There was a trough aligned SE to NW through central NSW that extended into SW QLD and SE NT. After a busy weekend I had to get up at 5.30am on Monday morning to take our guest to Ballina Airport for her to fly back to Sydney. It was completely overcast and drizzly yet it was fairly warm for that time of day (approx. 20C). After getting home I decided I was just too exhausted to go to school so I went back to bed with the intention of getting up and going in a bit later. I awoke at midday to my mum asking if I was going to school. I politely said no as it was too late now. I eventually got round to going on the net that afternoon and saw storms were forecast again. There were scattered showers and weak storms on radar with nothing looking very special. I thought it would turn out to just be a thundery shower that came through later. My brother came around for me to setup his new PC so I disconnected from the net on my PC and started setting his up. Dinner came and went and I had still not heard any thunder. After dinner around 6.20pm I got a call from Michael Bath to say that a storm was heading this way and that he'd gotten a call from someone reporting very heavy rainfall. He had to go out and so wanted me to setup my rain gauge to measure the rainfall from the storm. After hanging up I ran out the back of my house and I couldn't believe my eyes!! 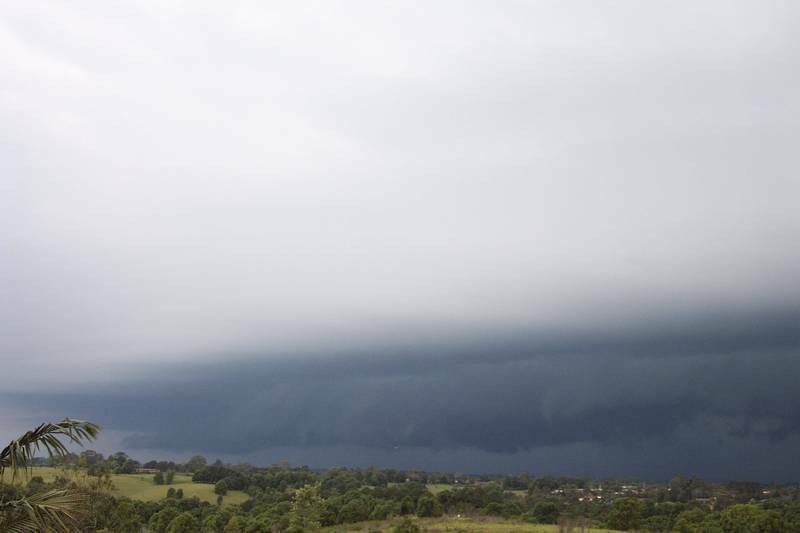 A long shelf cloud was out to the SW and looked rather nice (after not seeing a shelf cloud in months). I raced back inside and connected to the net to look at radar. It showed a VERY slow moving cell making it's way towards my area. 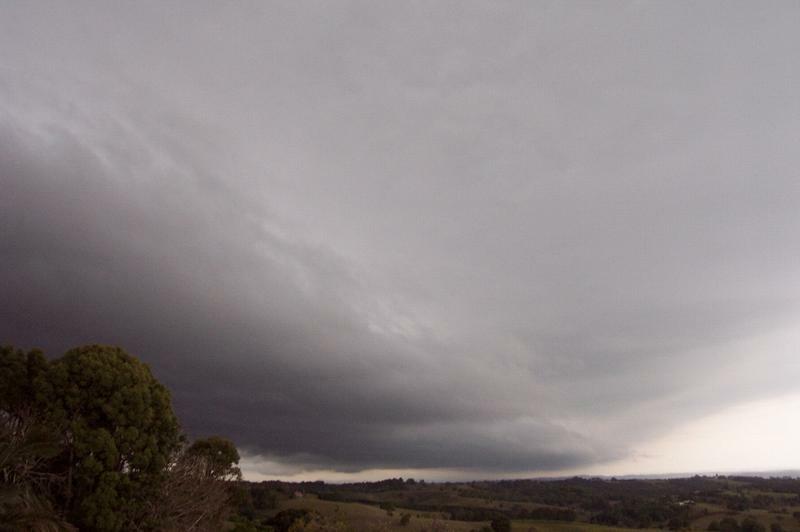 It turned out it had originated from the Northern Tablelands around 12.30pm that afternoon as just a band of rain. At 2pm it had begun to develop and changed it's direction from SE to NE while all other showers continued heading in a SE direction. 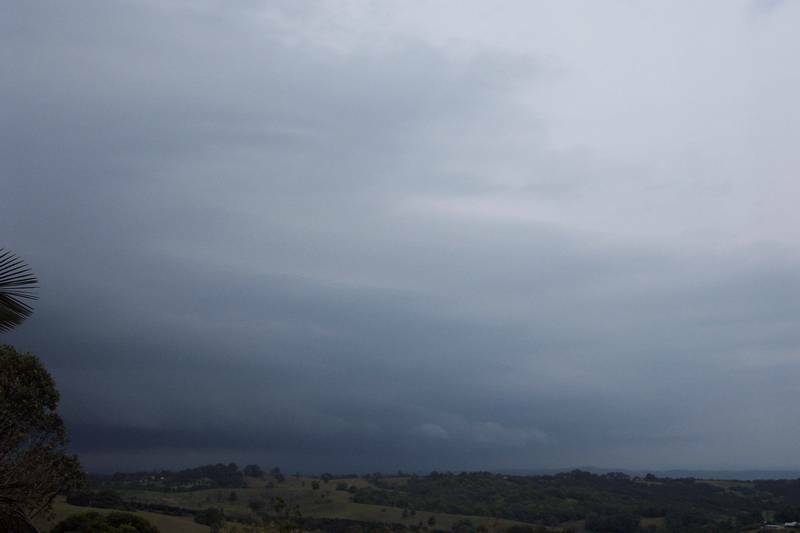 So I grabbed my camera and video camera I had happened to be borrowing that weekend and setup shop on our shed roof facing towards the S. I sat up there with my dad for quite sometime filming and photographing the storm. One thing we noticed was the almost complete lack of lightning and thunder. I think I saw 2 CG's all up! As it got closer we noticed one intense area of rainfall. It was just so dark in this area and so slow moving we thought there would have to be some impressive totals from this storm. 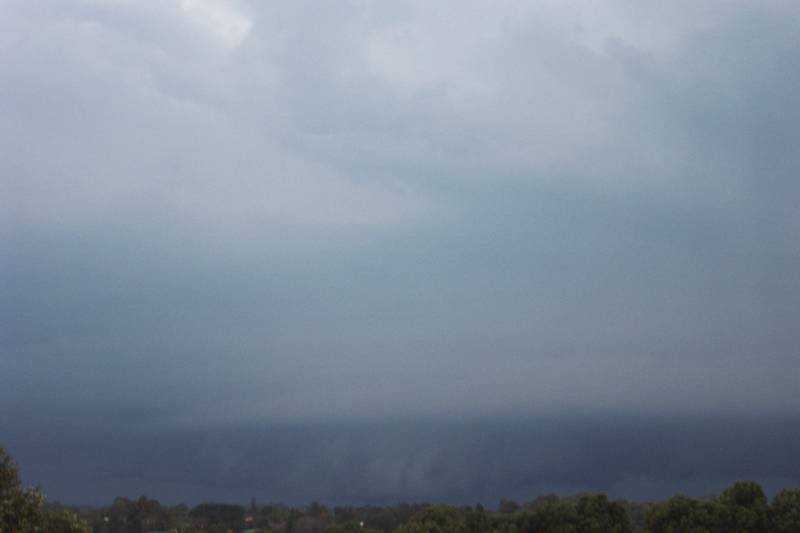 The shelf cloud seemed to now extend from the NW to the SE but there was only heavy precipitation to the S of us. 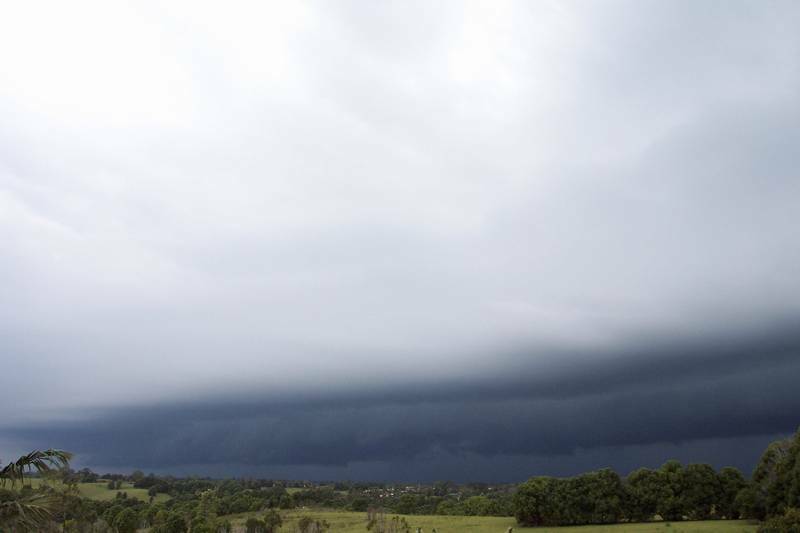 It appeared that the heavy rain would just miss our house and hit Alstonville and Ballina. After waiting what seemed forever the shelf cloud finally passed over us with very little rain at around 7pm. Then it seemed to just stall and not move any further. 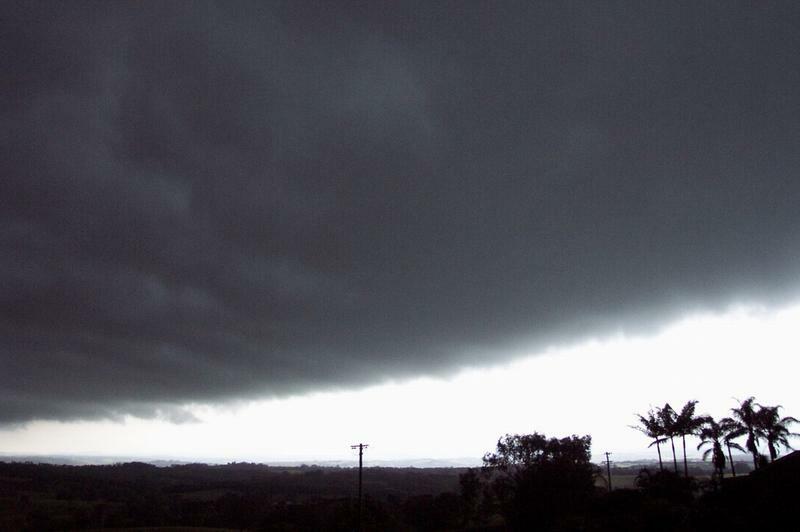 My uncle who live NW of me at Clunes noted that he had watched the storm coming and then it stopped! I had another look at radar and noticed that another storm had developed just SW of Casino while the other cell tracked past Ballina. 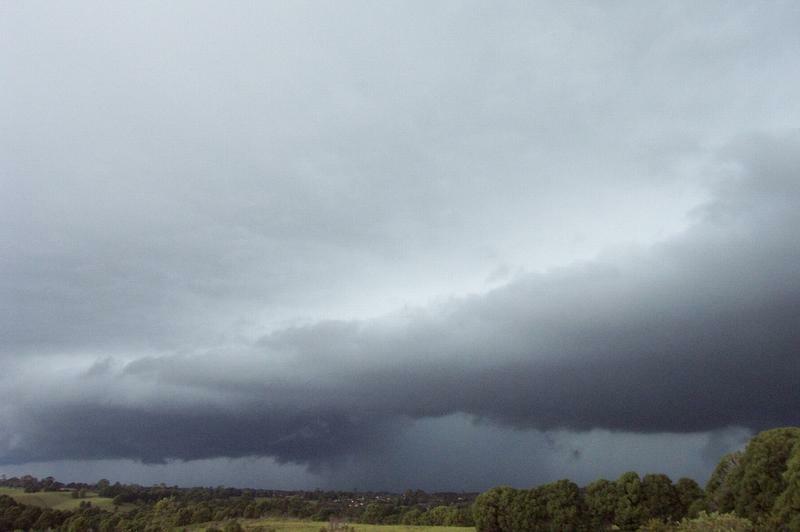 The one that passed over Ballina was now much more lightning active and seemed to be heading in a more E direction. The Cell near Casino was also producing much more lightning and heading in an ENE direction. It was now dark and my dad and I headed out to a nice flat concreted area in the paddock to the W of my house to film the lightning. Dad had the torch and I had raced ahead to setup the camera. Then I noticed something move next to my feet. I got dad to shine the torch at me feet and to my shock there was a brown snake next to my foot warming himself on the concrete!! I jumped back and the brown snake started to slither away into the grass. Rather shocked I setup the camera and started filming the lightning to the W. The rain started to spread towards us and soon enough it started to rain. We headed back inside and were treated to some heavy rain and plenty of lightning and thunder. I sat upstairs and watched the lightning for quite a while. A broad area of rain developed right over the Northern Rivers region. At around 9.30pm I called it quits and headed to bed as I had school the next day. The following evening we had another storm but this was more so widespread thundery rain and lasted quite a while into the evening.